As many already know here, I don't typically report news anymore, but this caught my attention since I use OpenMailBox to power my network service's email messages and I've been monitoring their service outage over the past few days while they upgrade their "software." Really? IMAP is very expensive to run? Frankly, out of all of my experience in running servers, I doubt it. IMAP is so common as a protocol that any mail server software worth its salt can handle it just fine, and even at that, load balancers exist for larger demand. OpenMailBox having their reputation continue to fall through the floor is not a surprise either, as from my own experience, their service has been very spotty and there have been quite a few times that Outlook or Gmail complain that they can't even connect to their server to fetch messages. I find it rather hilarious how they wish to charge for "premium" service while yet still having unreliable uptime. Something like email requires a stable and pretty much always-running server, especially if email messages mean business and a bounced message can literally cost someone money. 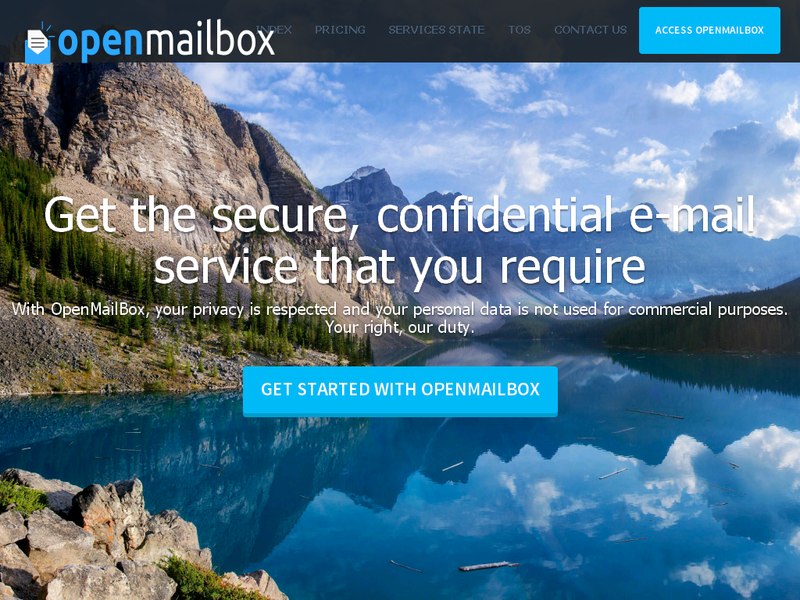 Until OpenMailBox reconsiders their stance on IMAP support, free users are forced to use their web mail solution. I surely won't be doing that because I only use OpenMailBox for Techtronix services.